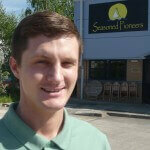 We are delighted to welcome James to our small team here at Seasoned Pioneers. James has joined us on an apprenticeship in warehousing, but we have high hopes that he will eventually train in the unusual artistry of a master spice blender! James underwent a rigorous selection process and impressed us with his enthusiasm, friendly out-going character and fascination with the world of spices. Keen to learn as much as he possibly can, he is already bombarding us with questions and will attend college on day release to enhance his skills. Training and input from every member of the Seasoned Pioneers team partnered with regular visits and assessments from a college tutor will assist James to pass each mandatory unit of his apprenticeship with flying colours! So what exactly will James be doing in his new role? Although we’d love to portray a rustic scenario of hessian sacks overflowing with colourful and aromatic spices, the reality of our premises is somewhat different. As with most food production companies, we are housed in a modern industrial unit on a large estate of similar properties. James will undertake responsibility for many duties within our warehouse, including keeping it in a scrupulously clean, tidy & methodical condition at all times. This is incredibly important to safeguard our accreditation with the British Retail Consortium and protect our reputation as purveyors of the finest spices on the market. Spices are delivered to us on a daily basis and every single delivery has to be thoroughly checked before it is booked in. James therefore will be receiving and documenting deliveries and storing them within the warehouse. With over 300 products to carefully put away, attention to detail is very important so that they are never mixed up or mis-labelled and can be located easily within our extensive shelving units. Those spices are quickly used as ingredients in our hand-made blends or packed as individual products. It is imperative that all of our stock is rotated by date to ensure that our customers receive the products in prime condition. It does not end there for James as he will also be picking and packing sauce orders, weighing out and packing herbs, spices, seasonings and spice blends then preparing them for onward despatch to our customers. James will also shadow our master spice blender Dave, learning the skills of his specialist role. In order to safely fulfil such a demanding role, we will be making sure that James is fully trained in Manual Handling, First Aid and Health & Safety at Work. He also gets to train as a fork-lift truck driver, yet another string to his bow! When he’s not at work, James enjoys watching and playing football, swimming and going to the gym. He’s already been experimenting with spices at home by cooking for his friends and family so it’s just a matter of time before you see his recipes on our website! 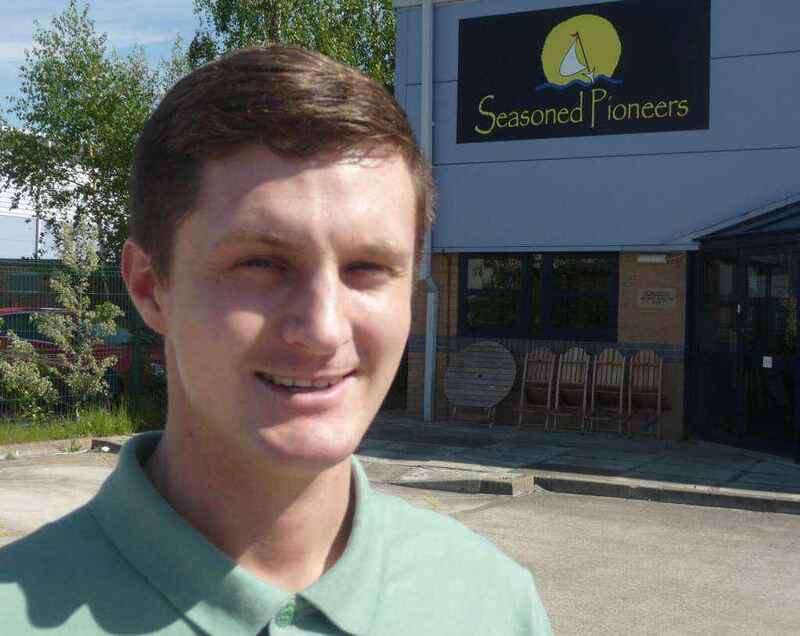 All of us extend a warm welcome to James and wish him every success in his new role at Seasoned Pioneers.